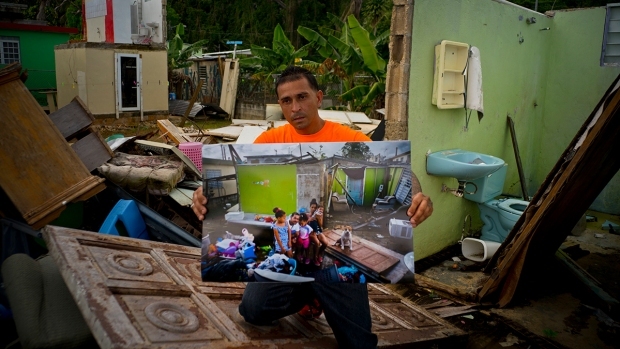 In this Oct. 6, 2017, file photo, Jose Javier Santana holds a Puerto Rican flag he found on the ground after Hurricane Maria passed through in Utuado, Puerto Rico. 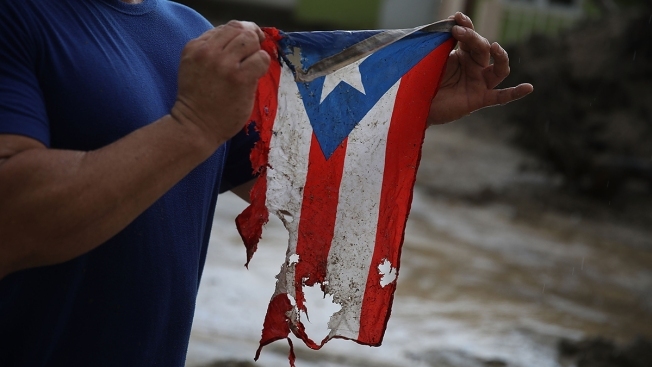 Mr. Santana said that the flag in its torn and frayed shape is Puerto Rico after the storm. Nearly a year after Hurricane Maria barreled into Puerto Rico and U.S. Virgin Islands, causing an estimated $100 billion in damage, the Federal Emergency Management Agency is admitting that it was unprepared to deal with the aftermath of the storm. FEMA found it "could have better anticipated that the severity of hurricanes Irma and Maria would cause long-term, significant damage" to the infrastructure of the territories, the agency said in its after-action report on how it prepared for and responded to the 2017 hurricane season, released Thursday. The report also indicated the agency was, among other things, understaffed during the season, experienced difficulty coordinating relief efforts and saw a lack of local preparation. The agency admitted that it entered the 2017 season, which began on June 1, "with a force strength less than its target," referring to the number of FEMA workers "who have completed the administrative requirements for deployment." This resulted in teams being stretched thin and a lag in tracking aid supplies. Hurricane Maria hit Puerto Rico on Sept. 20 and was the first Category 4 storm to make landfall on the island territory in 85 years. It knocked out 95 percent of cell towers and left nearly 4 million people without power. Together, Hurricanes Harvey, Irma and Maria caused $265 billion in damage, according to FEMA. Today, some 60,000 people in Puerto Rico still have only tarps for roofs blown off by Maria, and more than 1,500 customers are still without power more than nine months after the storm.